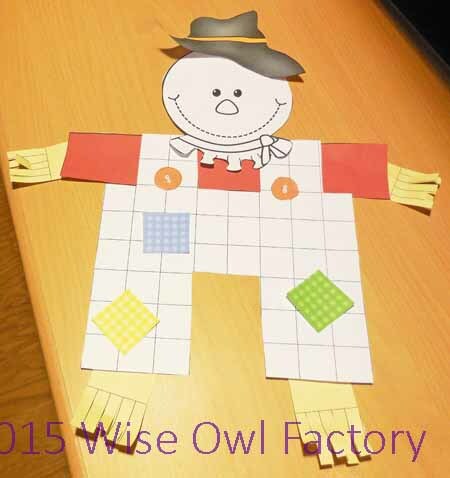 This post has a scarecrow art project printable PDF is free for your students or children to make their own scarecrow to help decorate schools or homes for the season. 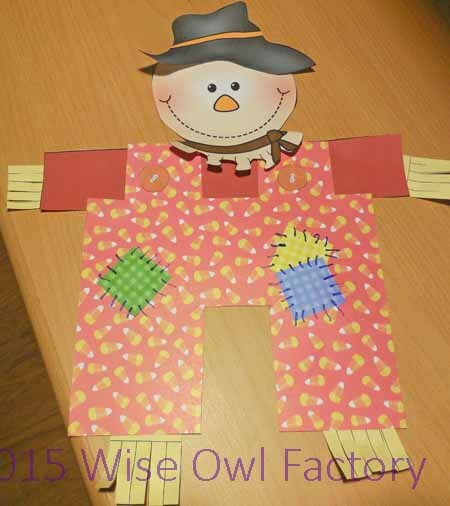 This project uses odds and ends of scrapbook paper to help make each scarecrow unique. 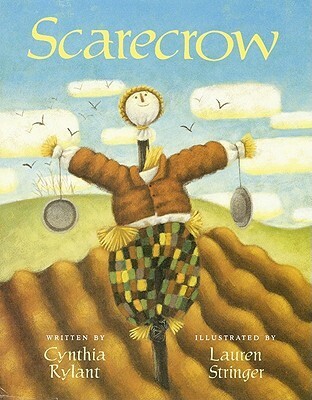 The project was inspired by the book Scarecrow by Cynthia Rylant, one of my very favorite authors. 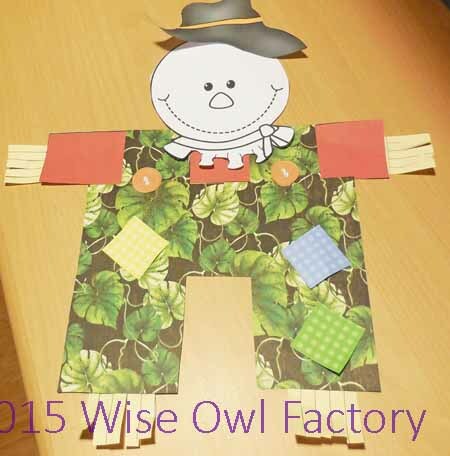 The story uses short text and poetic language to reveal what the scarecrow is thinking while looking at the fields from the beginning of planting season through the fall harvest. The art is stunning and the language is soft and thoughtful. 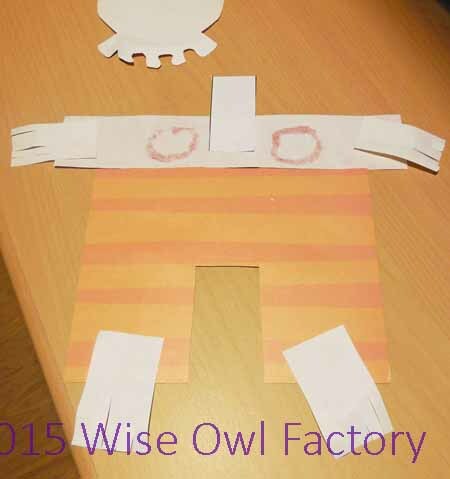 It offers a point of view not usually found in books, and makes the scarecrow anything by scary. 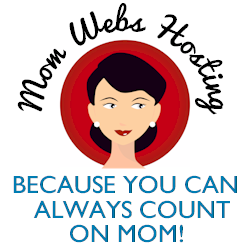 It is a wonderful story! 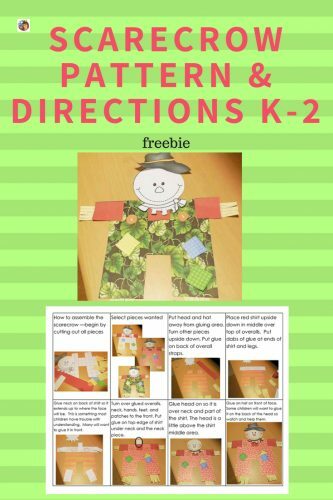 The children can discuss the changing seasons, planting and harvesting gardens, weather, and the illustrations. 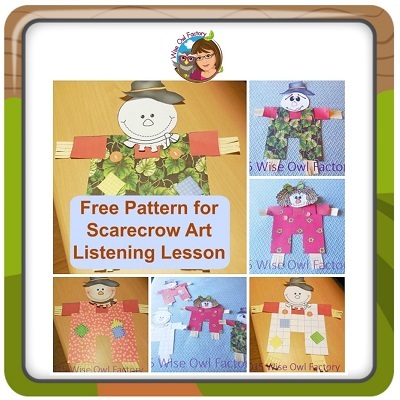 After reading this or a similar scarecrow story to the children, I have used a listening lesson for making a scarecrow art project. The next photo has an example. I have provided a PDF with instructions and pages in black and white as well as in color for printing options. Illustrated directions as well as text directions for a listening lesson are included in the printable PDF. 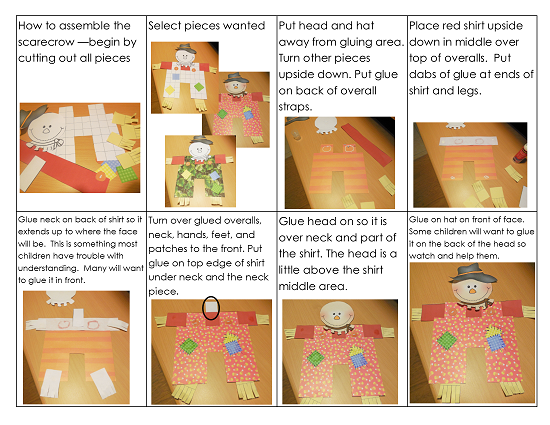 Begin by selecting the pieces that will be used in the individual project and cut out all the pieces. 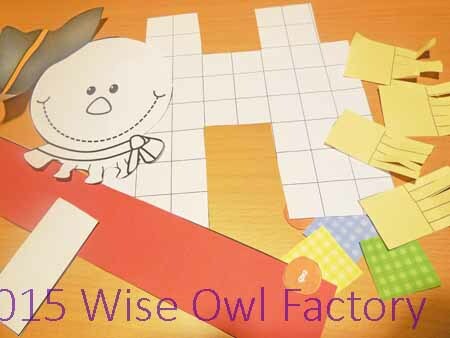 Assemble the pieces like a puzzle before gluing in place. Now glue on patches and add “stitching” as well as buttons to the front of the overalls. These pieces are small and best done first. The head and hat are added as a last step, and are glued from the front. The final projects will differ and have a variety of fancy pants! People would always comment on these cuties when displayed in the hallway at school.